What does Dabir mean, details, origin, short & easy attributes? Dabir pronunciation in 20 different native languages. Arabic Meaning: The name Dabir is an Arabic baby name. In Arabic the meaning of the name Dabir is: Teacher. Dabir is baby boy name mainly popular in Muslim religion and its main origin is Arabic. Dabir name meanings is Root, origin, ultimate, bygone, Judge, Teacher, clerk. People search this name as Dabir. Dabir is written in Urdu, Hindi, Arabic, Bangla as دبر, दबीर, دابر,دابير, দাবির. Other similar sounding names can be Dabbah, Daboor. Popular personalities with Dabir Name. 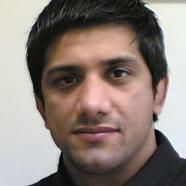 Alireza Dabir is a wrestler. Soniya was born on July 17th, 1980 in Pune. Sangita was born on January 22nd, 1971 in Nagpur.